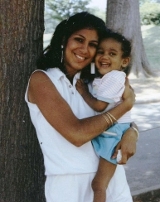 In 1987, after losing her husband and 3-year-old daughter to AIDS within six months of each other, Patricia Nalls, Founderand Executive Director of The Women’s Collective, learned that she was HIV positive. At the time of her diagnosis, there were few, if any services designed specifically for women living with and at risk for HIV/AIDS in the Washington, DC, metropolitan area. In fact, at the time, few people understood or acknowledged that women could be, and were being, infected with HIV. Pat found herself repeatedly trying to receive support and services in an environment that catered mainly to gay men. As a single mother, her family’s needs were different and distinct from those of men. Like many women, she frequently found herself in situations where she faced challenges, not only as a woman, but also as a single head of household. While the men in the support group were having conversations about their single lifestyles, Pat worried about how to disclose her status to her children, how to deal with the grief her children were experiencing, and who would take care of her children if she got sick or died. It was a time fraught with anxiety by the secret of her diagnosis, which began as despair yet ultimately turned into the determination to live to see her children grow to adults. Eventually, in 1990, to receive and give support to other women in similar situations, Pat set-up a private phone line in her home for women living with HIV to share their struggles and concerns. The phone line, which she advertised through flyers in her doctor’s office, gave her and the women she spoke to strength and hope in knowing that other women in their community were in similar situations, dealing with similar worries. In 1992, the phone line, kept secret because of the stigma that existed, transformed into a support group as the number of women affected by the epidemic increased. The group called itself the Coffee House to allow women to freely participate without having to worry about disclosing their HIV status. It provided a safe space for women to come together and laugh, cry, share resources, and gain strength from each other. The group proved to be a powerful vehicle for women. As their numbers grew, so did their knowledge of HIV care and services. In 1995, a friend involved as a volunteer supporting the Coffee House, suggested that the women incorporate as a non-profit organization. The Women’s Collective was the name stated on the application to the Internal Revenue Service. A Board of Directors was established and new energy and skills were injected into the Coffee House. The goal was to support women and their families and to realize a vision of creating a full-fledged, woman-focused organization. Board members organized events, set up training sessions, and slowly began to identify funding sources, enabling support group members to realize their vision. Women in the Coffee House also began advocacy efforts with local providers, policymakers, and the District of Columbia Department of Health. Over the course of 20 years, The Women’s Collective has evolved from the single vision of one woman to the collective vision of many women. Because of the efforts of committed women, coupled with support from community allies, volunteers, and funders, the organization has transformed itself from a dining room support group to a full-fledged 501(c)(3) nonprofit organization. Through grants that focused on institutional strengthening, a strong administrative and programmatic infrastructure was created to support a growing number of HIV care and prevention services. Advocacy projects were initiated that focus on influencing HIV policy in the United States and globally by mobilizing women living with or at risk for HIV/AIDS to give voice to their concerns.